Brookhills' Finest... Fallbrook's Finest... Truly one of San Diego's Finest! 2095 Kristi Court - Brookhill's Finest! SOLD! 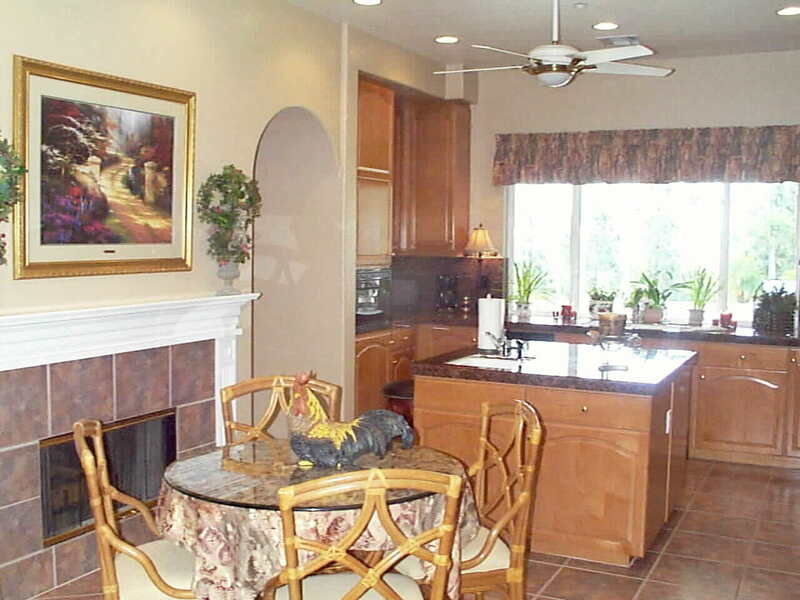 The most expensive home sold prior to our efforts in Brook Hills was $1,310,000... 5,328 sq. 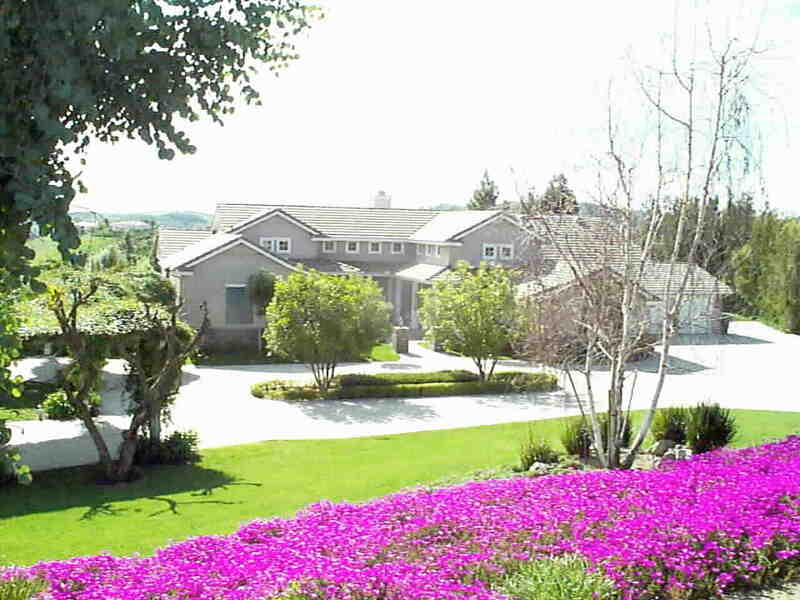 ft @ $245.87 per ft. Our listing $1,350,000... 3,705 sq. ft @ $364.37 per sq. ft... a 48% differential in a homogeneous community within the same month. Truly the first re-sale home in Brook Hills that got the price it deserved! Single Story, View, Private, Quiet, 2 + useable flat acres, five car garage, RV Parking, Pool, Secure gated community, Tennis, Every amenity imaginable, your own Private Golf Course, two Guest Car Ports, Car Wash Pad, Room for planned guest home, $300K+ of Landscape and Hardscape... and over $100K in Exterior Lighting and Mechanical. Now...we often have properties that have some of these attributes... but never before have we had one that has them all. Perfect Condition... and spotless! 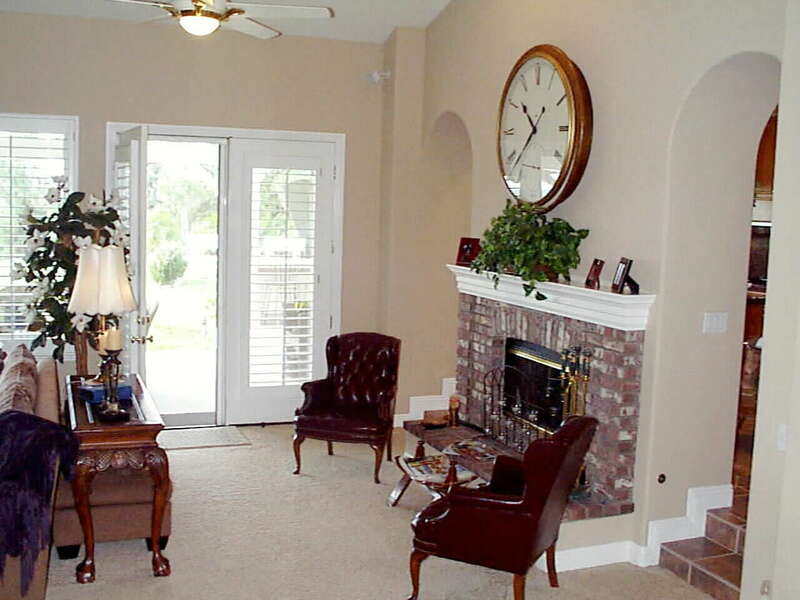 All sitting on "Brookhill Estates' " finest... largest... and most secluded "Cul de Sac" Lot. This is Paradise! And it's on the market today... for less than replacement cost! 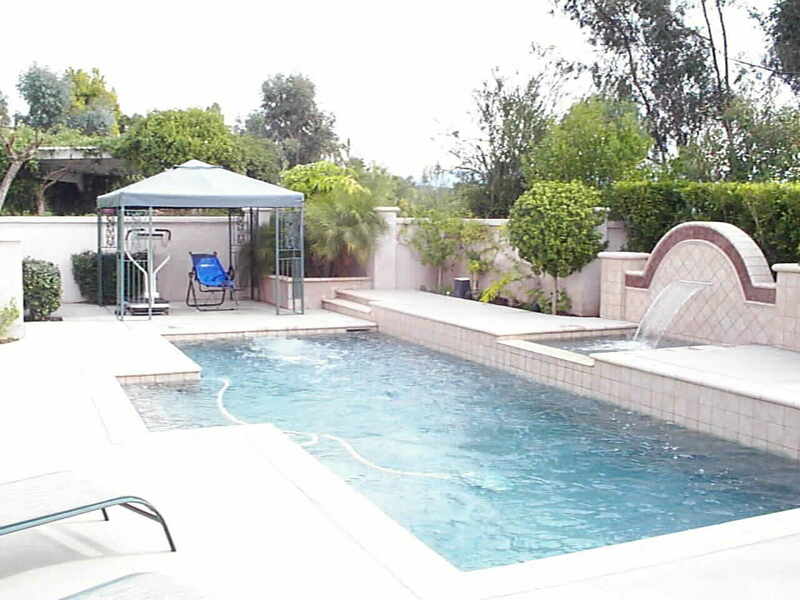 The pool area above is a private walled enclave off of the master Suite & Retreat. Secure access insures no chance of children wondering in. Total privacy is insured by the elegant garden wall and romantic mood setting is created by the fiber optic lighting in both waterfall and Pool. Exercise year round with the dual nozzle Badu Swim Jet Exercise System and the Navigator Pool Sweep will keep the sparkling Gemstone Finished pool looking like the treasure it is! Tile work, finish work, landscape & hardscape... the best of design thought... combined with the finest of materials... and perfectly maintained ... waiting for you. The other photo above shows the second "Play Feature of the Home". Your own... 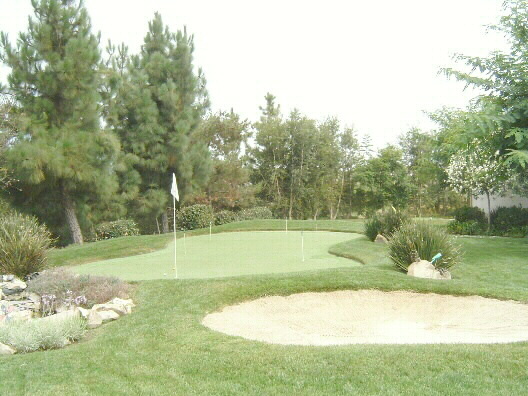 Private Home Golf Course. Two Elevated Tees.. the view here from Tee One... two sand traps... one off of each fairway... and a six hole professional (PGA Rated 12) green. (Just like the one Tiger has in his back yard) The synthetic "One Putt Greens" beauty is "No Maintenance" ... and lighted for night play. Water hazard ... of course... in fact the first ball hit by the owner found the water hazard... but that spell has been broken. Even if you are not a golfer... this is beautiful... low maintenance... and fun. You will know immediately... which of your friends are golfers. And.. they will love the guest bedrooms... oversized... beautifully decorated... each a separate suite... and golf course views! 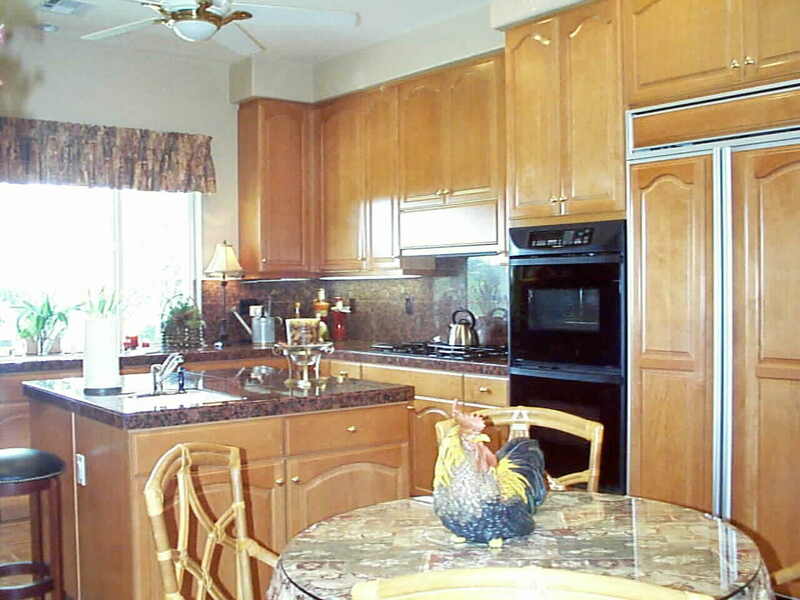 This is truly a spectacular floorplan that takes into account where all parties end up... the kitchen. The first photo above shows the living room fireplace that flows through the wall into the spacious gourmet kitchen of dreams. A Ceramic gas log creates the romantic moods without the fuss and mess of ashes or wood requirements... but real wood may be used if desired. Plantation Shutters open through hidden disappearing screens to the outside entertainment area.. but we'll cover that later. 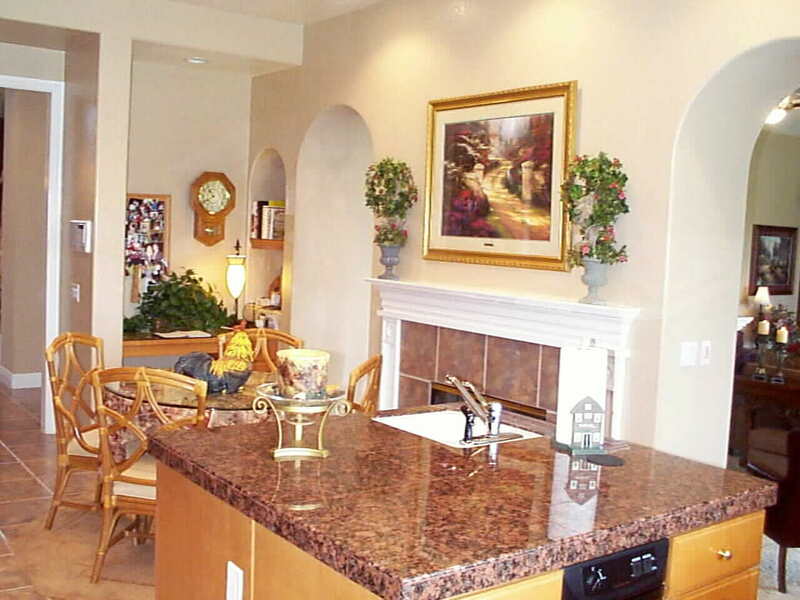 Step into the kitchen through one of two wide arched passages.. and here is the rich warm elegantly appointed "Party Central"! Granite counters and full wall splash backs, Upgraded Euro-Style Maple Mocha Cabinetry with matching panels on the top of the line KitchenAid Appliances, double ovens, built-in microwave, 48" Side-by-Side Refrigerator/Freezer, compactor , Reverse Osmosis filtered water, Center Island with sink... and all ... spotless! Better than New! Recessed canned lighting and the first of eight ... top of the line... "Casablanca BelAir Series" decorator fans... with wall-mount multi switches... views to the outside gourmet kitchen and golf... plus the house command center with Cat-5 Wiring... and control center for the Nutone Intercom/Music system that covers every room in the home.. + the garage...+ the Patio and outside entertainment area. Dual zoned heating and Air Conditioning... the fans... and thermopane windows insure comfort in all weather... but this is weather paradise. So... windows and french doors abound. The ideal climate for growing... this semi tropical micro climate will amaze you. Ocean breezes daily... you might turn on the Air a couple of times per year. Every comfort issue has been addressed... this exemplifies "Move In Condition".